Choose from thousands of suit fabrics. We have nearly every color, every style. In retail stores, you can usually choose from a few dozen colors. In our custom shop, you can choose from thousands of colors. Choose single breasted, double breasted, peak label, notch lapel, straight pockets, slanted pockets, and the options go on and on. Even choose the lining and the monogram that goes inside your suit. 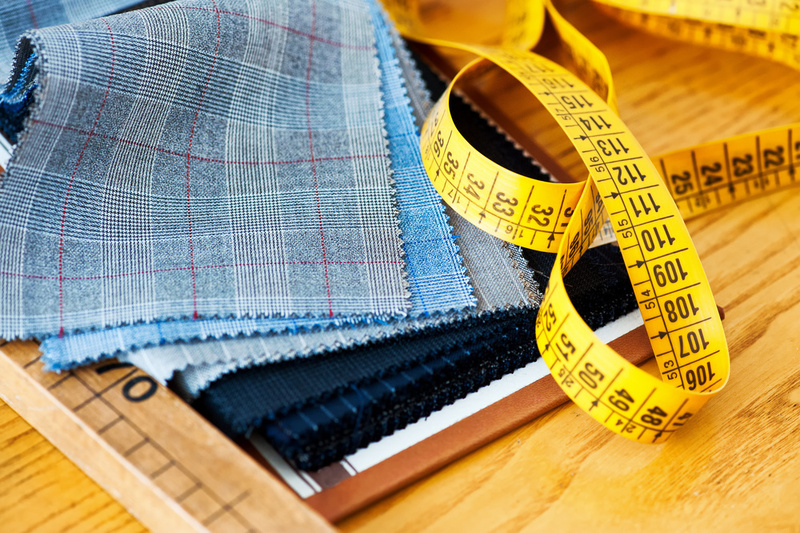 Our qualified, experienced tailor with over 30 years experience will take dozens of measurements of your body to fine tune our paper pattern. We keep that pattern on file for easier future reorders. Take the hassle out suit buying forever. In approximately 3 weeks, your garments will be ready for the final fittings. It will take a couple of final fittings to fine tune the garments. Once you go through this initial phase of final fittings, you will likely never need another fitting again on any future re-orders.